As the mercury rises, it’s natural to flick on the air-conditioner, but there are ways to keep cool which don’t burn lots of energy and push up the power bill. 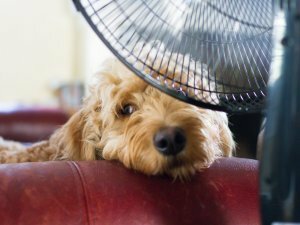 According to experts from the CSIRO, householders can remain cool and comfortable this summer, while still being energy-conscious. – Use external blinds to keep the sun and glare out of the house. Older homes especially can “bleed energy” in hot weather. For most people their house is the single biggest investment they ever make, yet many are literally pumping cooled air outside, costing money and undermining comfort. The following tips are relatively simple and inexpensive measures to stay cool without just cranking up the AC. Draught sealing keeps cooled rooms cool. Draught stoppers are readily available from hardware shops and other outlets and are among the most cost-effective things you can do to use less energy. Caulking gaps where pipes come in, around windows, skirting boards and floors further reduces leakage. Uncovered windows can be among the biggest ways to use more energy. Curtains, ideally with pelmets, keep heat outside. Double glazing is expensive, but window film can also reduce heat transmission and save around $27 a year. Outdoor blinds can also make a big difference. Check to see what insulation you have in the roof. Installing it can be a DIY project or organise to get someone to install it, or top it up for you. Comfort levels can be improved immediately. A cool shower is a great way to cool off, but long, luxurious showers can quickly add up. A low-flow shower rose saves energy and water – up to $57 a year. Many models are on the market and are easy to fit. It’s a no-brainer to dress appropriately for the conditions and reduce the need for cooling.